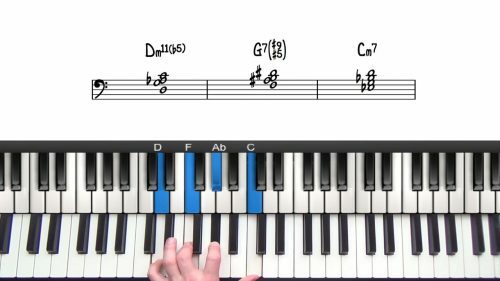 Stella by Starlight is one of the most famous songs in the jazz repertoire and any serious jazz musician will know the chords and the changes to this important tune. 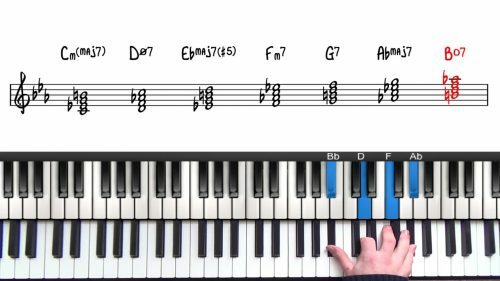 It’s certainly a difficult jazz standard for beginners as it’s packed full of altered harmony and challenging chord changes which can be tricky both to voice and play over. 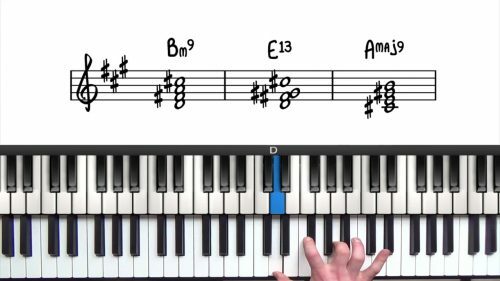 The form of the tune is A — B — C — A2 which is quite unusual in itself and it’s most commonly played in the key of Bb Major. The melody has quite a haunting and sombre tone and it moves largely in steps but with some bigger jumps and leaps in the B and C sections. Stella can be played as a ballad and also at faster tempos so we’re going start off playing through the form with left hand voicings so that you can get a good grasp of the melodic and harmonic movement. We then revisit the entire form, voicing the chords over two hands and adding in lots of upper structure triads and also some interesting chord substitutions and reharmonisations.